The grocery store is 5 minutes from my house. It's a frequent stop on our runs to and from preschool. Especially because we often times forget when we are on the calendar to bring the preschool snack. A quick run into our store, (Giant Eagle) and we're ready to jet off to the preschool drop-off line. Usually as we sprint through the store, I grab a little treat for myself and hide it under some vegetables. Usually, the Mom-Deserves-It-Treat of choice for this mama is something caffeinated. I can always find a secret hiding space under the broccoli and the apples. When I saw Coca-Cola™ had the new Share a Coke and a Song campaign bottles with song lyrics printed right on the bottles, I thought the songs on the bottle were perfect for our grocery store dashes. Our latest run through the store while looking for crackers for the preschool class and something for dinner was made a little easier as I sang the Share-a-Coke tunes that were stuck in my head. 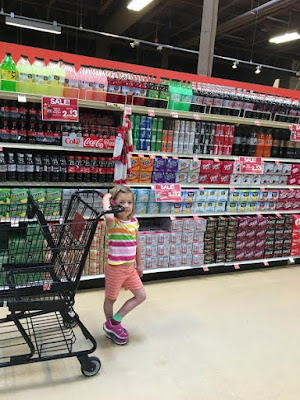 I had to grab a six pack of the Share a Coke and a Song bottles after being inspired to sing tunes to my kiddos through the produce department! When we got home, I enjoyed the special treat of a nice icy Coke while making a music craft inspired by the song on one of our bottles: "Put a little love in your heart!" 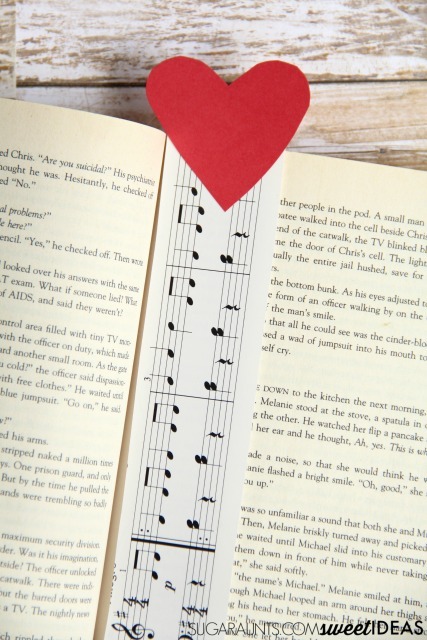 inspired us to make heart music bookmarks. It was a song that made me recall all of my kids as babies. That little bundle of love that is handed over to a new mom makes your heart grow! Cut the sheet music along the space between each staff. You'll end up with several strips of music notes. Cut the red card stock into heart shapes. 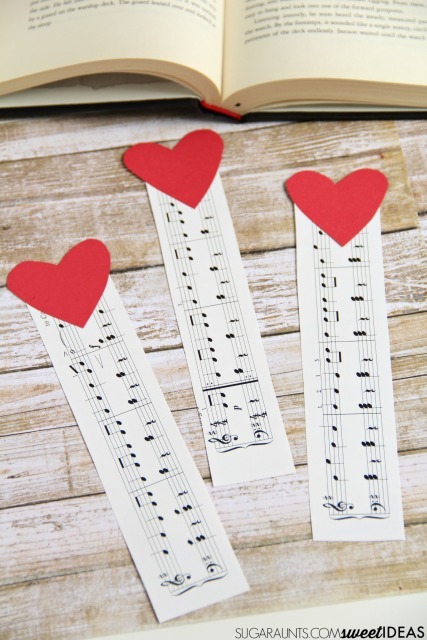 Glue the hearts to one end of the music strips. As easy as that, your music bookmarks are done! 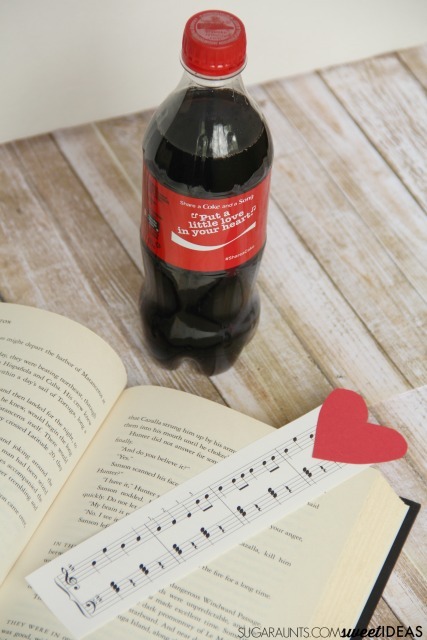 These would be a great addition to a gift for a music lover: Gift them with a book or music book, a bookmark, and a Share a Coke and a Song bottle of Coca-Cola, Diet Coke®, or Coca-Cola Zero™. 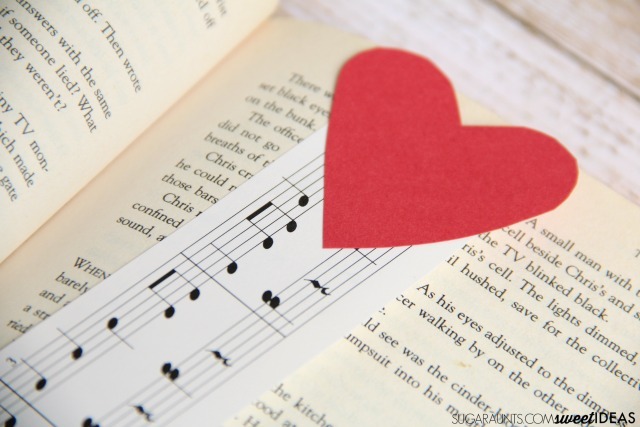 It's a gift that any music lover will remember and cherish! If you follow this blog, then you know that we love to use recycled materials in play and crafts. After our bottles of Coca-Cola were empty, we decided to make our own songs with a DIY water xylophone! This was SUCH a huge hit with my kids. We filled the plastic bottles with varying amounts of water. 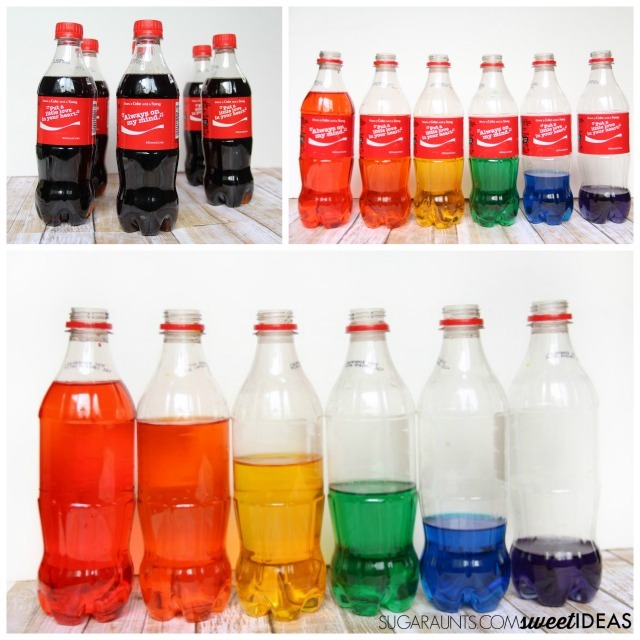 We used all six bottles from the six pack of plastic Coke bottles and added liquid food coloring to the bottles. 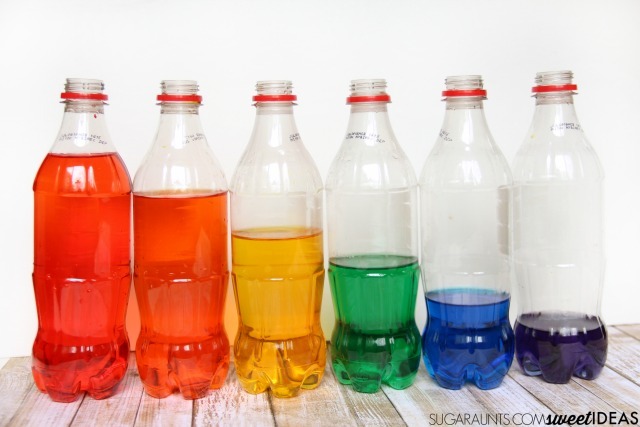 Each bottle held a different color of the rainbow to make a rainbow water xylophone. I showed my kids how to blow across the top of the opening of the bottles to make a musical sound. It was fun to see my kids' expressions as they realized they could make a sound on the opening of the bottles. Even better was watching them make a little tune with the xylophone! This is one activity that they will remember for a long time to come. This is a great activity for addressing oral sensory needs. Check out some of our favorite ways to provide sensory input through oral motor exercises for sensory calming sensory input here and here. 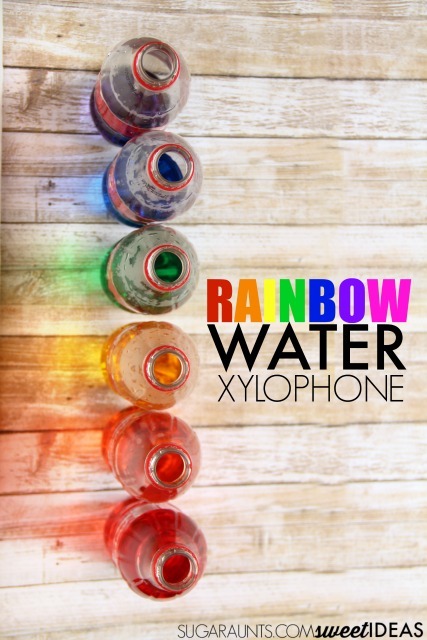 A water xylophone would be the perfect addition to a summer bucket list! Take this idea outside to create memories with your kids! Just like music invokes memories, making music with this water xylophone will be the hit of the summer break. We'll be looking for other songs on the Coca-Cola bottles on our next Giant Eagle run and will be singing our way through the store again soon (probably tomorrow)! While you're in your Giant Eagle, be sure to grab your Share a Coke and a Song Coca-Cola and download the Shazam App. It's available on iPhone, iPod Touch, iPad, Android and other devices and you'll be a able to get your Coca-Cola Share a Song. 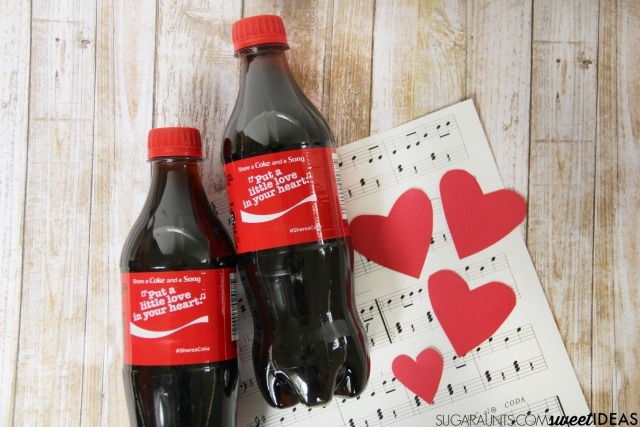 How does Coca-Cola Share a Coke and a Song music and song lyrics inspire you?